STEM careers are growing five times faster than any other occupation. By 2018, nine out of the 10 fastest-growing jobs in the United States will require significant training in science and mathematics. Not enough girls are pursuing STEM careers. 40 percent of earth, atmospheric, ocean and physical science degrees are earned by women. Girls have less confidence in their STEM abilities even though they have the same capabilities in mathematics and science as their male counterparts. 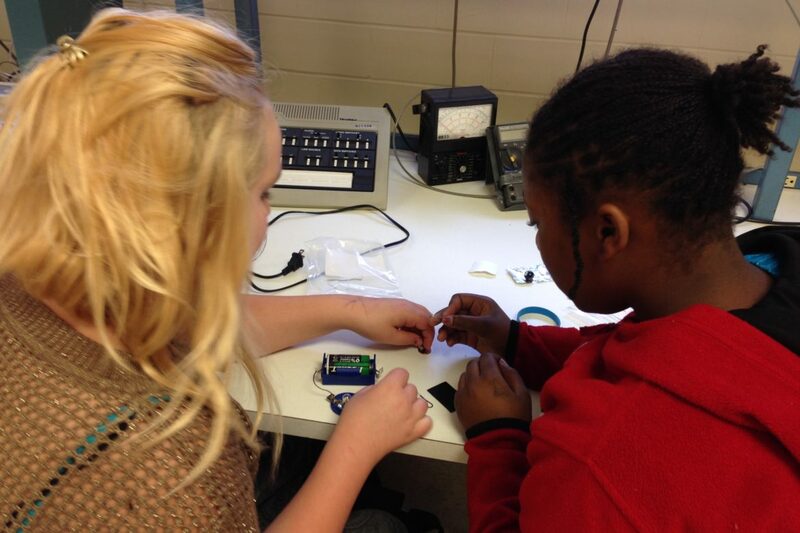 Girls have few female role models in their lives that are engaged in STEM fields. Girls are more interested in careers that “help people” and lack an understanding that STEM careers can help people. Girls are unaware of STEM career opportunities. If you are a Girl Scout Senior or Ambassador leader, contact your local Girl Scout Center to find out more about the Imagine Your STEM Future curriculum. Help connect girls to women in STEM fields. Get the parents associated with your troop to tap into their networks to invite special guests to share their careers with girls. Many colleges, universities and museums offer STEM programming for youth that would be perfect for a Girl Scout field trip. Share the above research with the parents in your troop so they know the barriers that girls face. Learn more about girls and STEM by reading the Generations STEM study conducted by GSUSA which is where we pulled most of the data listed above. If that’s too lengthy for you, this summary has all of the essential information. Check out this resource which will tell you how some of our National Portfolio links to STEM topics. These tips are helpful too! Do some research about each aspect of STEM on the internet. You’ll discover all sorts of free resources. Discovere.org is a great place to start.